Lap Band Gal! : An Amazing Read! Great Tips for Lap-Band Success! An Amazing Read! Great Tips for Lap-Band Success! Did you know that there are Lap-Band patients out there who are over ten years post-op who are maintaining their goal weight?!? 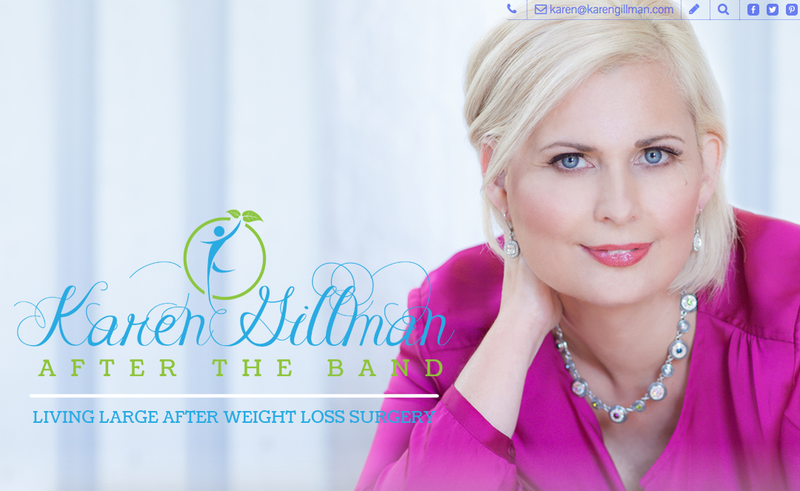 In 2004, Karen had gastric band (Lap-Band®) surgery which ultimately helped her combat her obesity, shed and maintain a weight loss of 145 pounds and bring her BMI from a staggering 45.3 to a maintaining a normal weight BMI of 23. Lucky for us, Karen is very open about her life before and after surgery. She's got a fancy Facebook. She even has a BOOK. That's what she said. A book! 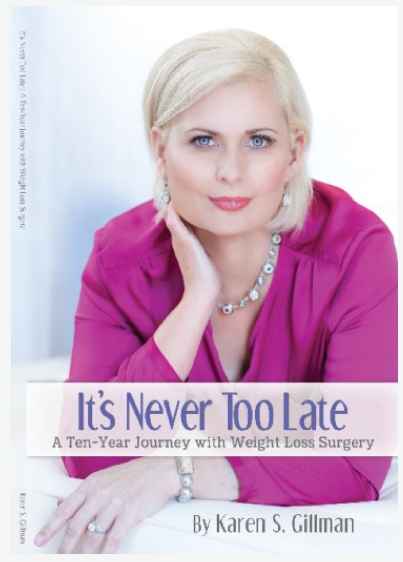 It's called, "It's Never Too Late. A Ten Year Journey with Weight Loss Surgery." I read it cover to cover. It's a super quick and easy read. Who is this especially great for? Anyone considering any type of weight loss surgery. My favorite parts of this book? -- She lists her items she keeps in her kitchen. Who knew that there was a special type of grater and chopper that makes portion sizes easy? --She tells you about her new level of happiness and energy now that she has lost her excess weight. You can find her book HERE. Maybe people who are more than 100 pounds overweight may find it impossible to lose weight through traditional methods and look for weight-loss new treatments and surgeries to reach long-term weight loss.